Drawing an all-new flowchart is certainly not a walk in the park. 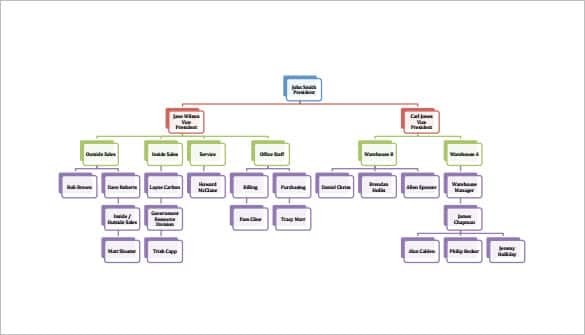 The reason is that a flow chart is an amalgamation of several different kinds of shapes, symbols and arrows, and it can become confusing even for the pros. It’s a boon that flowchart templates are available in abundance on the Web. Most of them are free downloadable samples, while some others come at a price. We have handpicked a few good free samples for you on this page. Take a look! 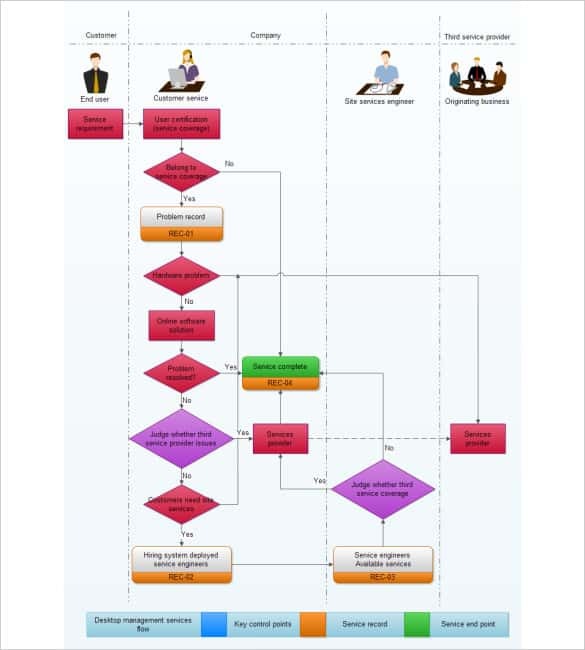 You may also like Process Flow Chart Template. 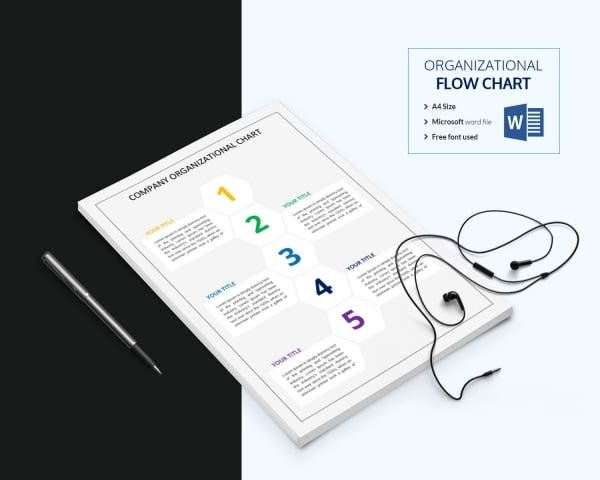 Communication in a large business is a headache, however using the business flow chart template it has never been easier. The template is editable and customizable not to mention printable. 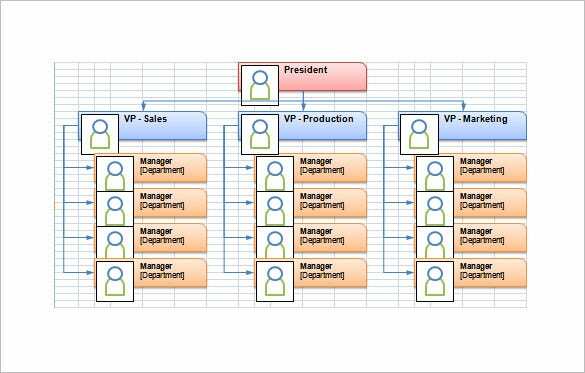 The organizational flow chart is a combination of organization chart and flow chart. 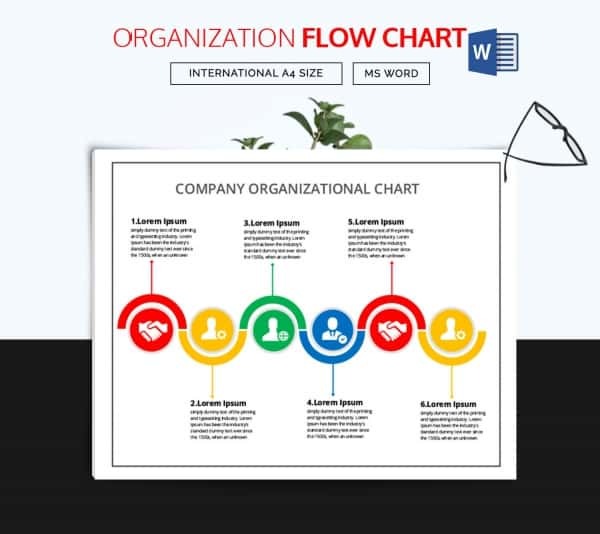 This organizational flow chart is used to show the different departments of an organization using a flow chart. 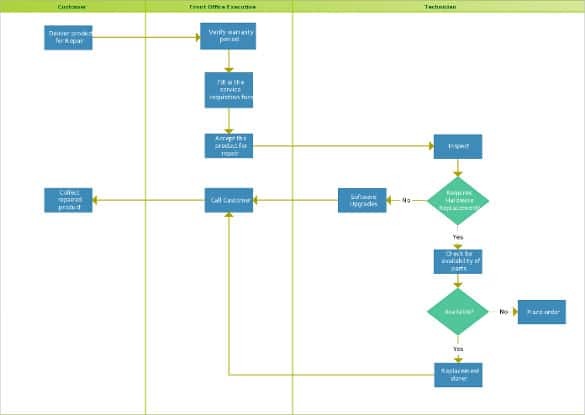 A Flowchart can be defined as a visual presentation of sequence or a series of steps which needs to be implemented to complete a given task. Usually it is a diagrammatic illustration to explain a process. The sequence of the steps can be indicated through a connecting line or by the help of arrows. This will make the execution of task easier as anybody involved in it can well understand how to proceed with the work from beginning to end. 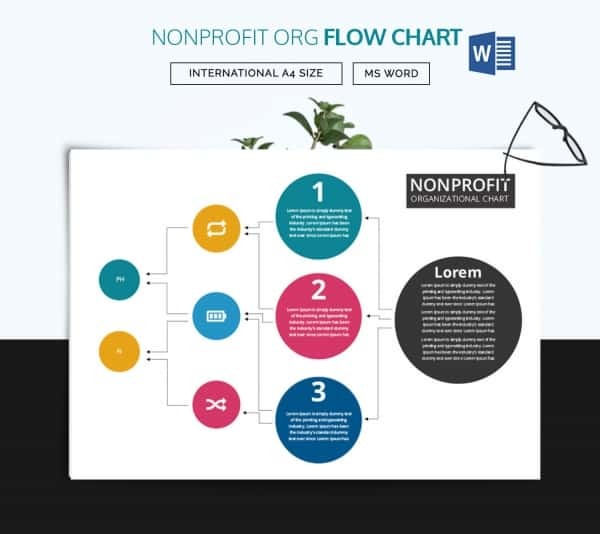 The flowchart template has an important role in defining the goals and setting a sustainable target your business or any other organization. However, it becomes vital to also make use of the flowchart symbols, the process of implementation and lastly the concluding symbol. Mere drawing a simple figure is not going to help your cause but you need a basic flowchart template design to explain your objective. As such there are a number of websites where you would come across aesthetically designed free flow chart template to suit your specific needs. You just need to browse through the options that fit within your requisite. 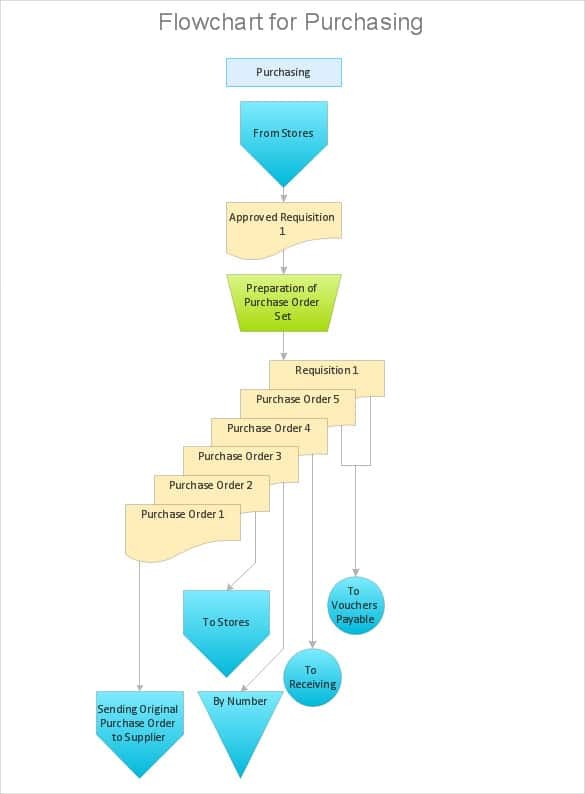 You can even create your own flowchart design and other diagrams. If you hire the services of a professional company, and get a customizable flowchart at affordable charges. 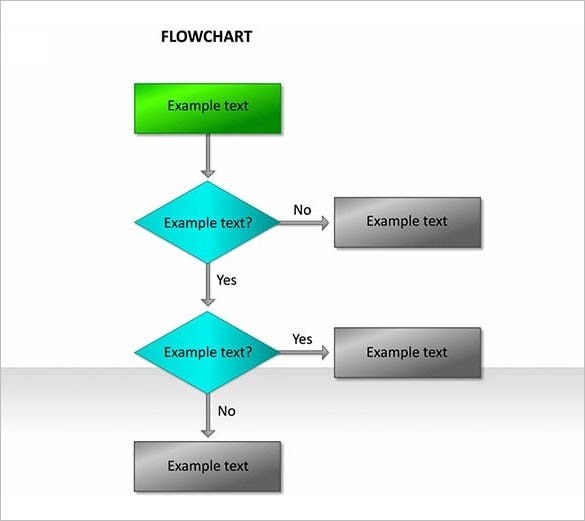 Flow charts are visual guidelines or instructions that tell you how to do something by giving step by step instructions. 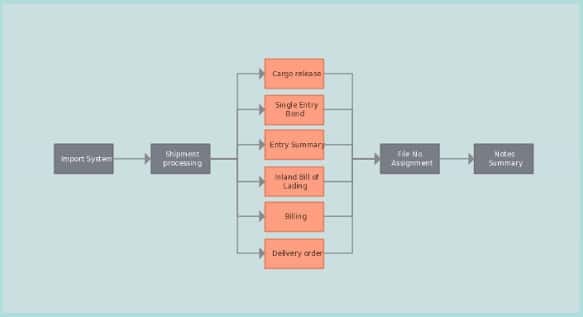 Now keep a track of you shipments with the shipment process flowchart. It is quite editable and printable. 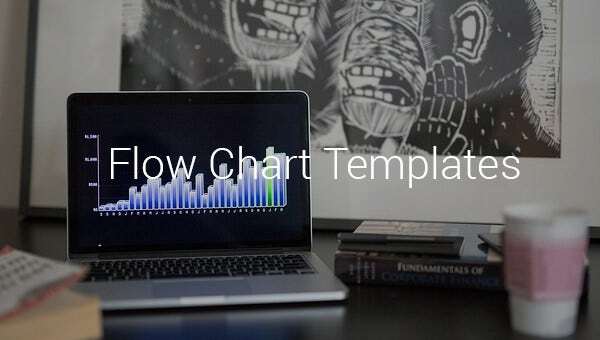 Get an idea on how a swimlane template should be by using the sample flow charts provided with the template. The template is highly customizable and it is extremely printable. 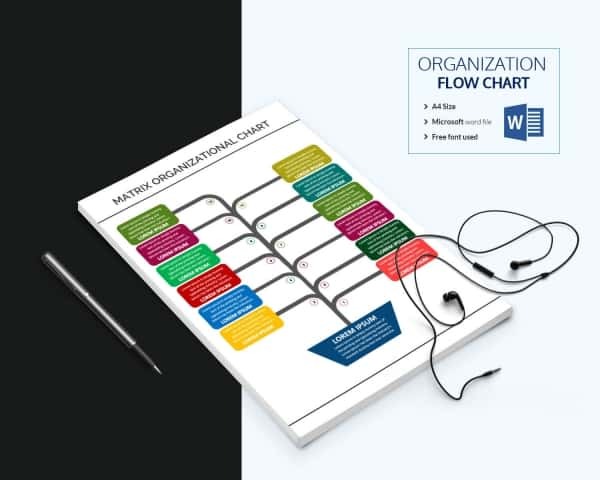 Having a good number of sample flowcharts this download organizational template is one of the best flowchart templates available for download. It is quite editable and is you’re to make your work easy. 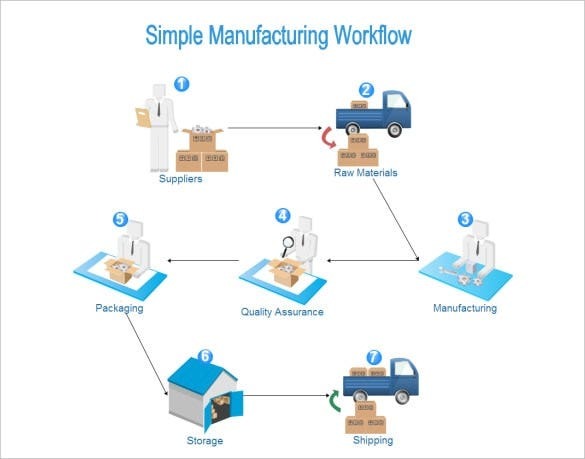 Create a flowchart for your manufacturing department by putting this highly editable and easily customizable process flowchart template to good work. The template is easy to attach to an email and send. 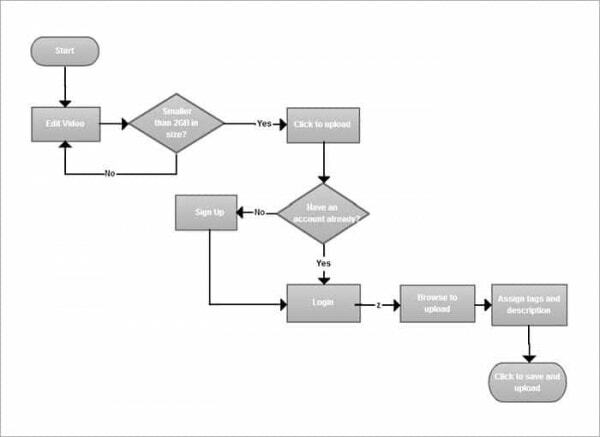 Put the process flowchart template to good work for your accounting department. The template is the best process chart template available on the internet. The template is the most preferred one among users. 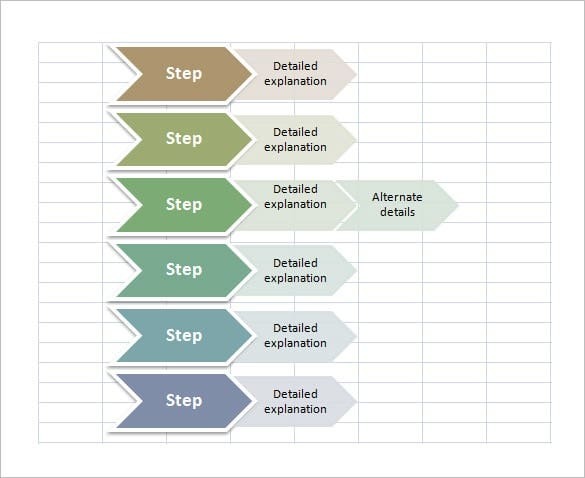 adelaide.edu.au | An investigation must be conducted in a proper and precise manner and with this free flow chart template it is easy to show how exactly an investigation must be conducted by breaking it down step by step. This template is used when a chart must describe a repetitive process. Using this flowchart template it is easy to break down the process into segments of action that together make up the entire thing. This is a long and complicated template depicting how to gain approval. 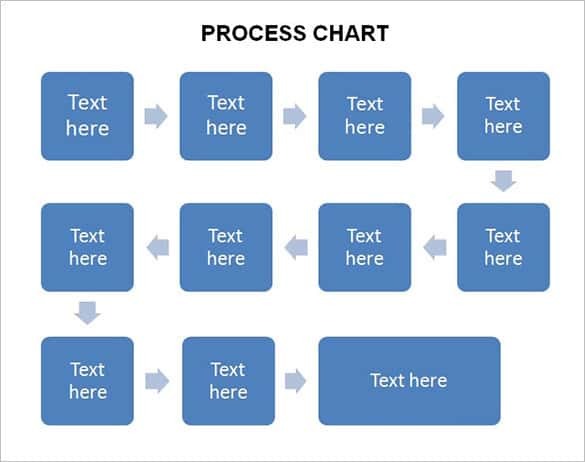 This is the most preferred flowchart template available for download. It is quite editable and not to mention customizable to your exact specifications. This free flow chart template is perfect for use in a retail organization. It is highly editable and customizable and not to mention very printable. This is the template of choice for all those who work in retail sales. This printable, highly customizable and editable template is perfect for understanding how the supply chain of a company or manufacturer is supposed to work. This flowchart template is the most popular one. Good decisions are based on strategy and now you too can make good strategic decisions by using this highly editable and customizable flowchart template that breaks down the method of taking strategic decisions. 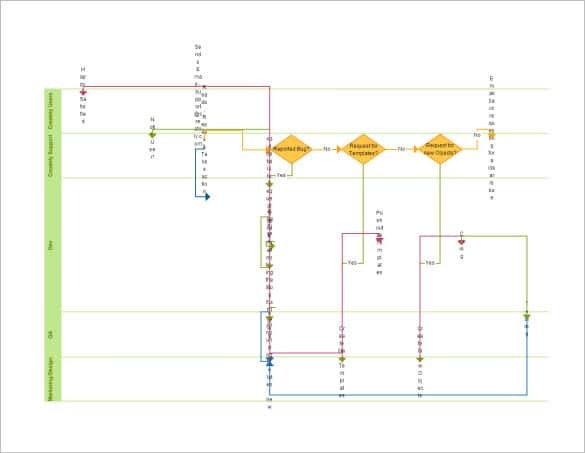 Use this highly printable free flow chart for MS Word to print out the step by step instructions needed for software develops to develop their software. This is a highly editable and customizable template. 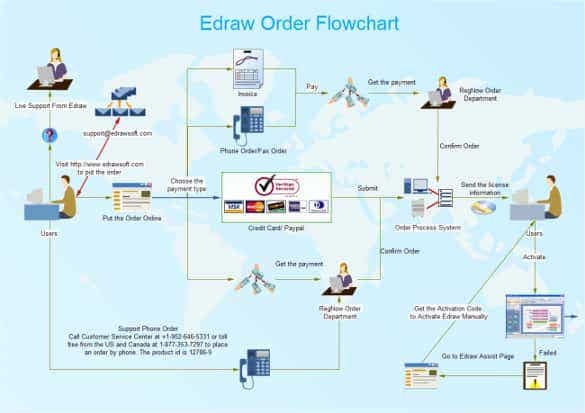 Keep a track of orders placed, orders received, orders dispatched and orders fulfilled with this highly editable and customizable free flow chart template that is perfect for use by online sellers. Breakdown the services that are provided and in what manner by using this free flow chart template that is highly customizable and editable. It is very easy to use and not to mention printable. 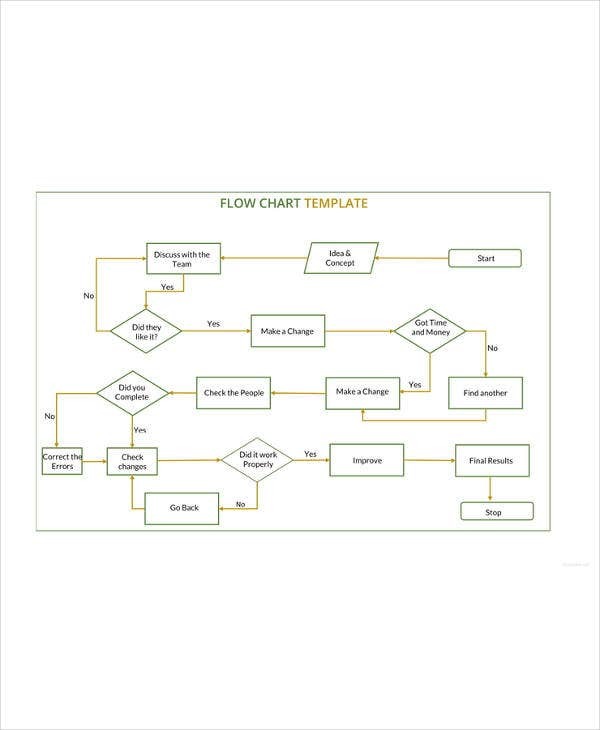 This process flow chart template is the most preferred one for Medicare supplements. It is quite editable and customizable and not to mention printable. This flowchart template is the best one for this purpose available on the internet. If you have showcase teller data on a flowchart, download this example and do the needful in a quick and easy manner. 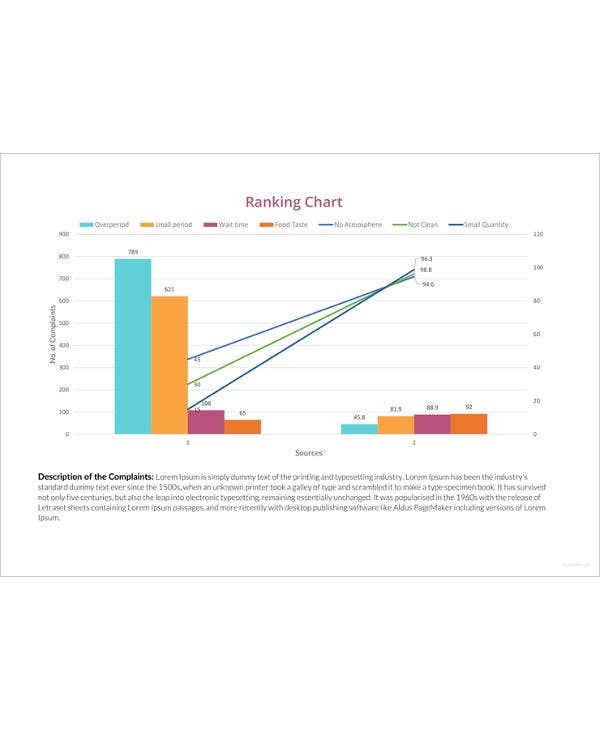 The sample, as you can see, has already included the necessary elements to make the chart have a complete look. Download and customize further if you need to. Flowcharts are mainly useful because they make explaining processes become so easy! 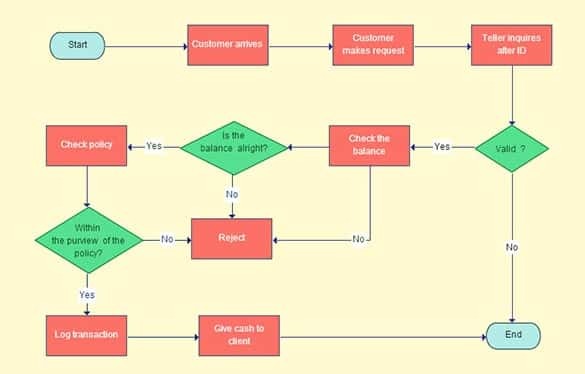 If you have a elaborate and difficult process to tell your clients or audience about, you can simplify it by using this flowchart example to explain it! This is yet another process-based flowchart example. Explain any process in a convenient manner – its beginning till its end – using this template. You can insert relevant information in the boxes provided – add or subtract shapes, symbols and arrows on the basis of requirement. A flowchart must be easy to follow. 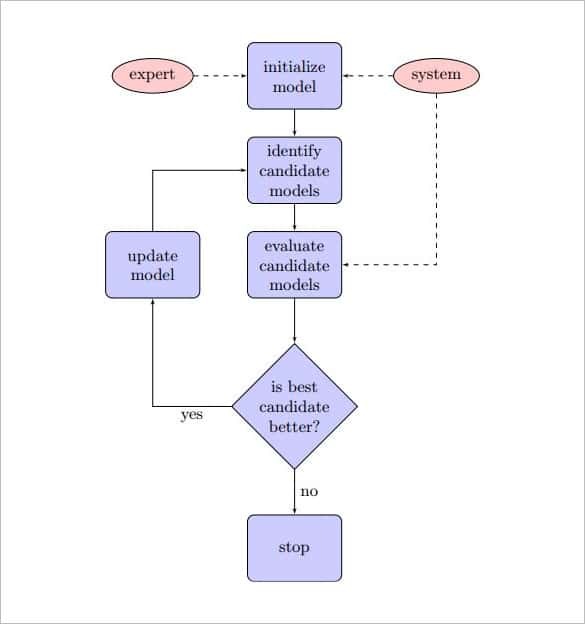 Take a look at this flowchart sample. It has got a simple design and layout. Even if you’re a beginner and you’re dealing with flowcharts for the first timer, with this template, it wont be long before you get the grasp of how it is made. If you’re looking for more options of the simpler kind of flowcharts, this mockup chart belongs to the category. Explain any process as easily as possible using this flowchart sample. It is free, downloadable, customizable and fully-editable. In terms of looks, it is an elegant-looking example. 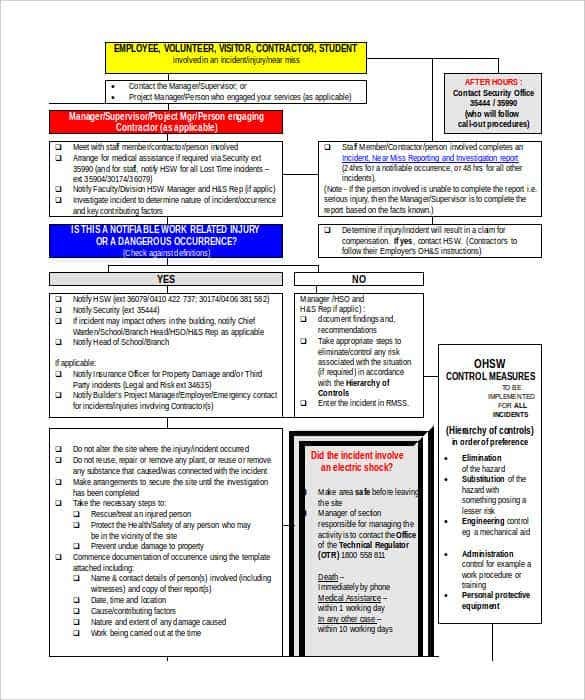 If you have to design and develop a swim lane flowchart, don’t sweat it. Download this example instead and invest time in inserting the necessary information in the boxes given. 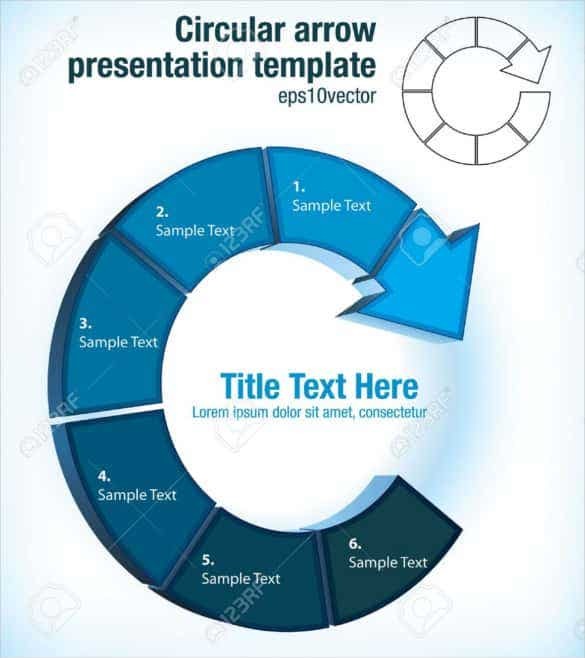 This is a printable template, however if you need to incorporate in a PowerPoint presentation, you can do that too. 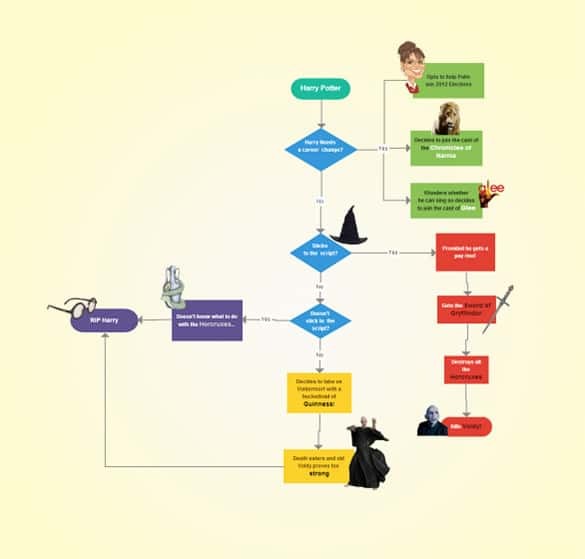 In class, if your teacher has assigned to explain the Harry Potter series on a flowchart, this is the sample you must download. You wouldn’t need to make any edits or changes as such, the flowchart is readymade and contains all the necessary information in the way it should. Still, if there is a need for you to tweak it a bit, you can. 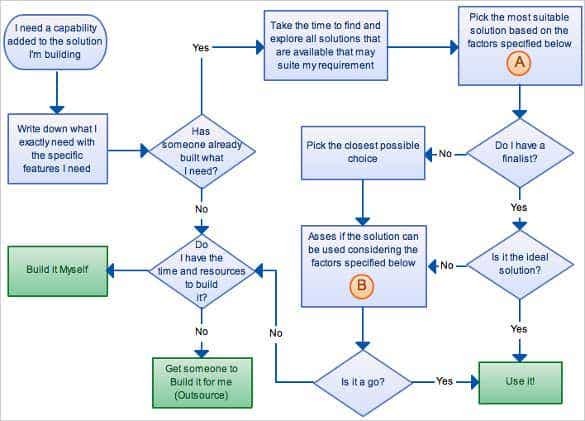 This flowchart sample is for those who need to design or create an intuitive flowchart for their project or presentation. 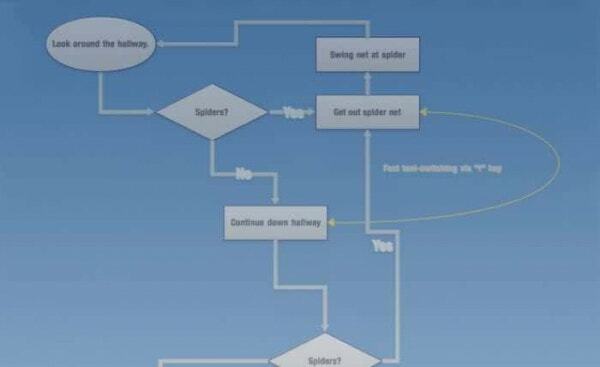 Don’t work too hard creating an intuitive flowchart from scratch. You don’t need to as this particular specimen all prepared, customizable and serviceable. 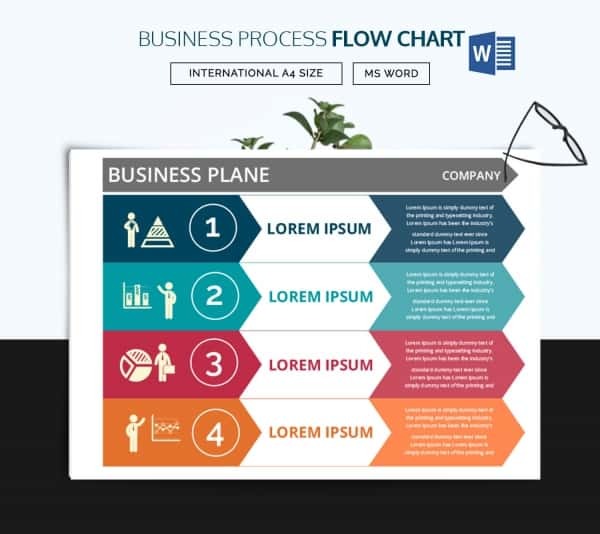 This template comes with many text styles, which in turn have drop shadows, which make the flowchart come alive! There are connector styles to make your point, and there is even diagonal hatching to denote which areas need work. 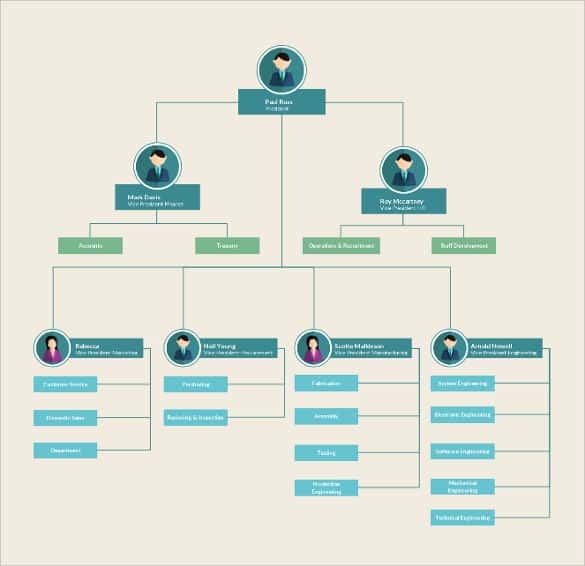 Making flowcharts are a daily requirement in most businesses now, and this template makes it really easy to design simple flowcharts in Excel. There are customizable relationships with the traditional shapes. 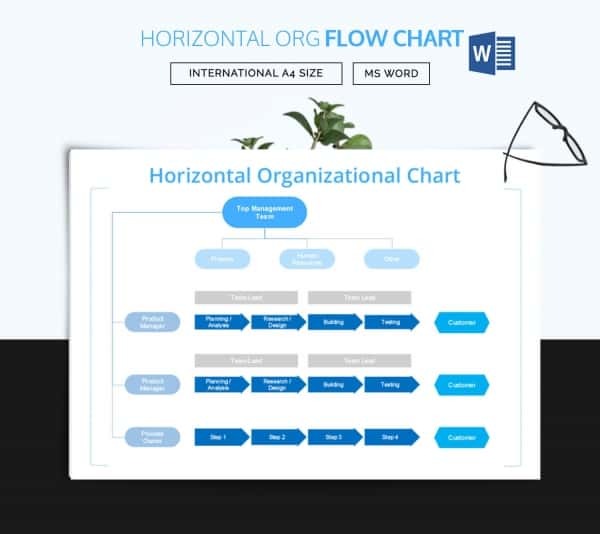 If you’re looking for a simple flowchart diagram to include in your office projects or presentation, this flowchart example is more than ideal for the cause. You can easily download and customize. This is well-suited for school and college endeavors too! As it has been mentioned in the earlier paragraph, the process map template word makes your task simpler because you know what needs to be done one after the other. 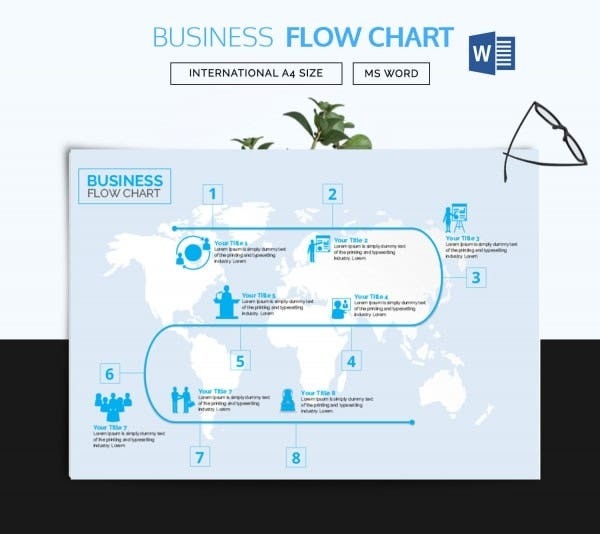 Though the format of the Microsoft Word doc does not help in developing images, but still it supports in the creation of free flow chart word with the assistance of flowchart diagram templates. 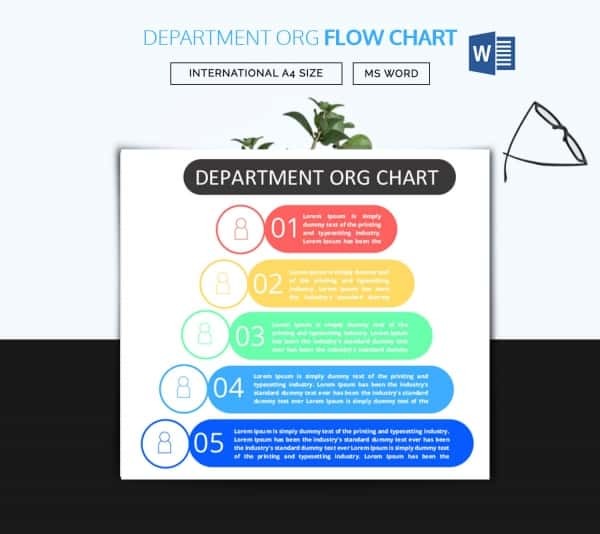 When designing a flow chart on the word doc you get a few facilities such as adding text boxes, changing the shape and color line of the chart and formatting. 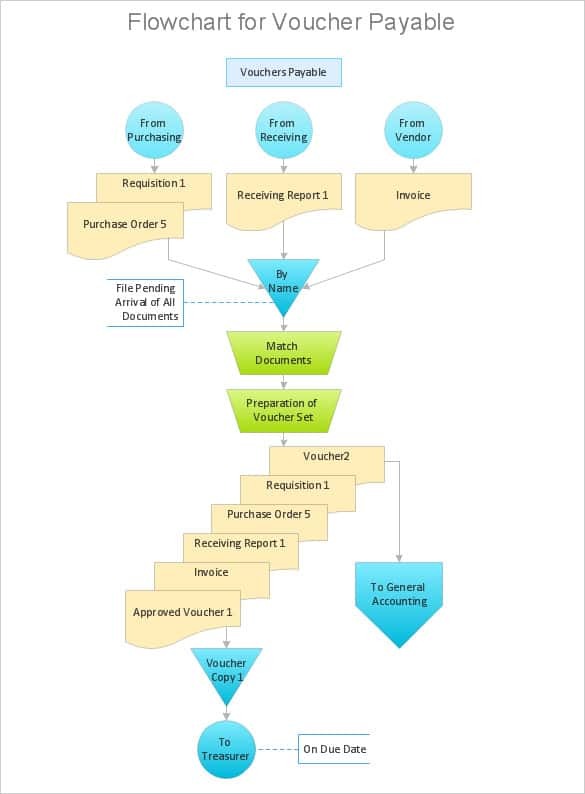 But if you are looking for a responsive and interactive flow chart format, then you can achieve your aim. Firstly after opening the word document you need to go to the Insert tab. You have to opt for the SmartArt graphic and press ok. In you want to substitute or change your SmartArt; you can do that and go for a different sample flow chart. Now it is time to add shapes and link them with the arrow directions. This literally completes your task. 4.But what if you choose the Shapes Choose the Shapes option from the Insert Tab and then pick the shape you want to add as a flow chart example. However, you need to set the height and width of the shape by clicking and dragging it. Now you can keep on adding shapes to finish your work. You need to connect the lines or arrows to link up the flowchart. 5. Next you have to add the text which can be easily done by double clicking on SmartArt or the Shapes. You can choose the desired font from the particular font section. 6. 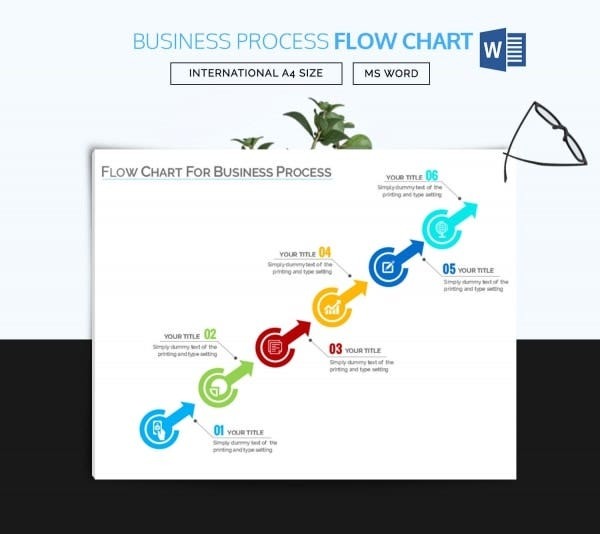 The flowchart is also editable at time during the creation and you can make changes in it. 7. If you want more formatting options, then you have the option of Object. 8. Lastly, your flowchart is completely ready and you can take out the printable version of the document. If you are wondering that the sample of flow chart template can only be prepared on Word doc, you might have to reconsider your decision. 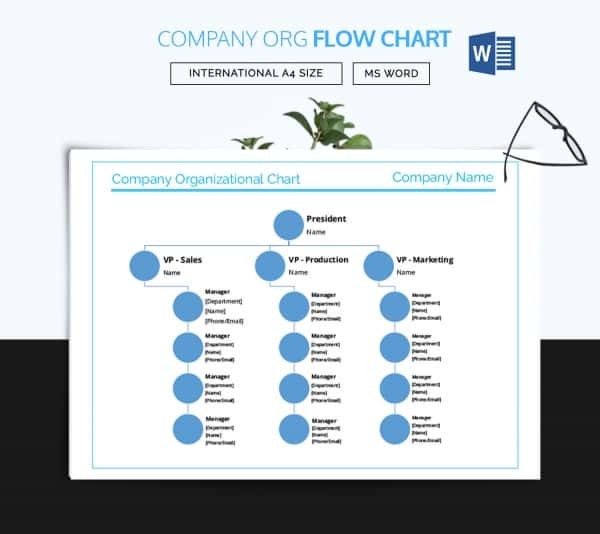 Like Microsoft Word even Excel wasn’t an ideal platform for creating impressive flowcharts, but you can still design simple flow chart template and represent a visual graph of your business. 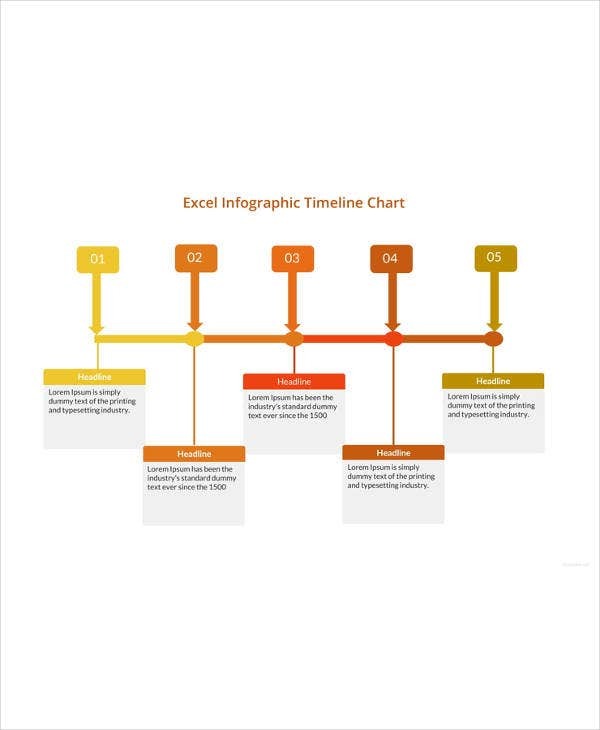 However, the creation of flow chart template excel is somewhat static and it does not offer much assistance as working up jointly becomes quite difficult here. First and foremost after opening the Microsoft Excel you need to make a grid from the top left-hand corner of the sheet. Then you need to select the column and its width. Like the previous process, you need to choose either SmartArt or Shapes. 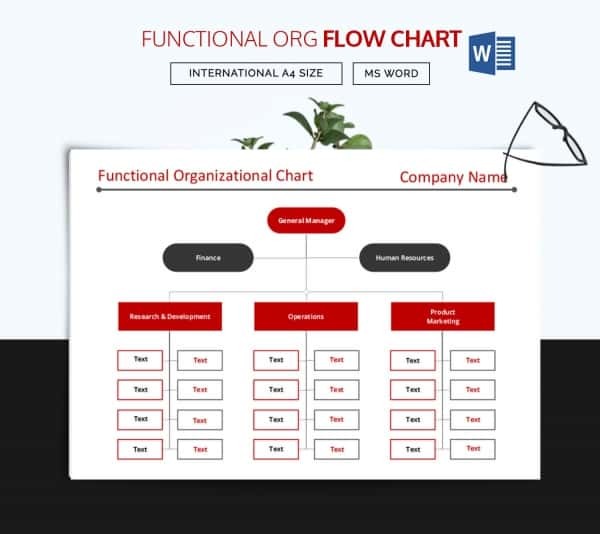 Since both Word doc and Excel are a part of the Microsoft flow chart template, the similar procedure will be followed as mentioned earlier in the case of Word document. Next why is the Flowchart Template Necessary? You can display your work flow chart template at the client meeting which establish a better understanding of the project. You can explain everything through a flowchart. 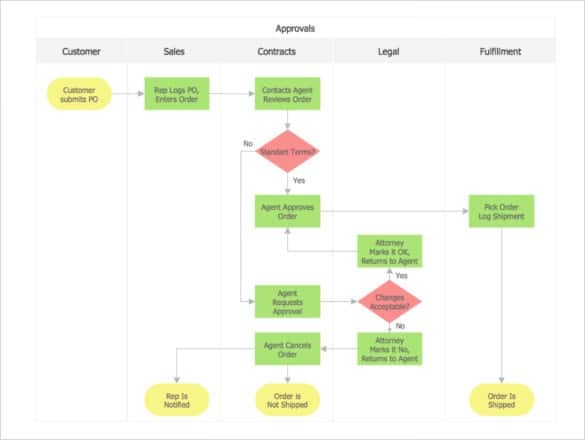 You can even send a softcopy of the flowchart to your client. 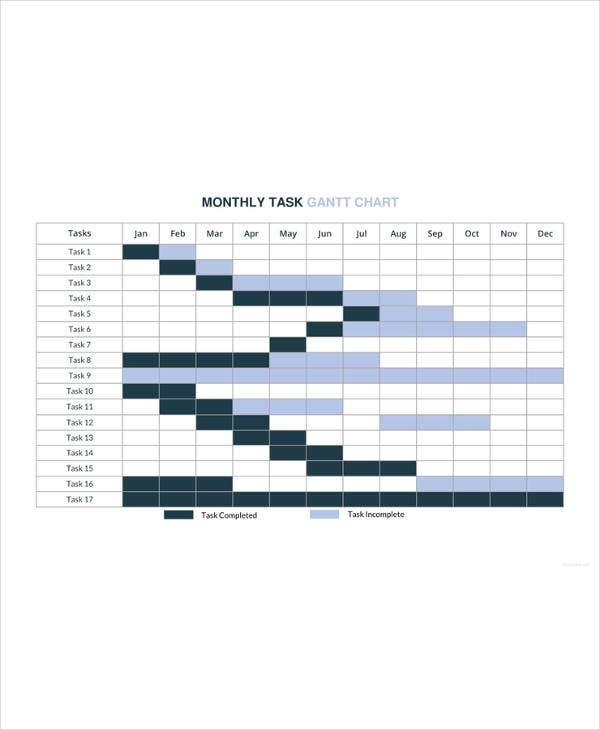 The chart template helps in bettering the coordination between team members if they are working on a project. Hence get a free workflow template before commencing the project. 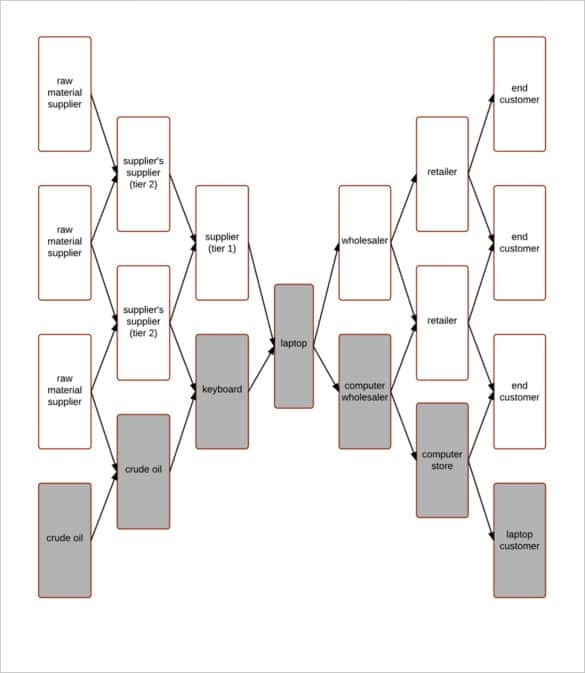 If you are doing an online research or survey, then website flowchart template will be more than helpful. 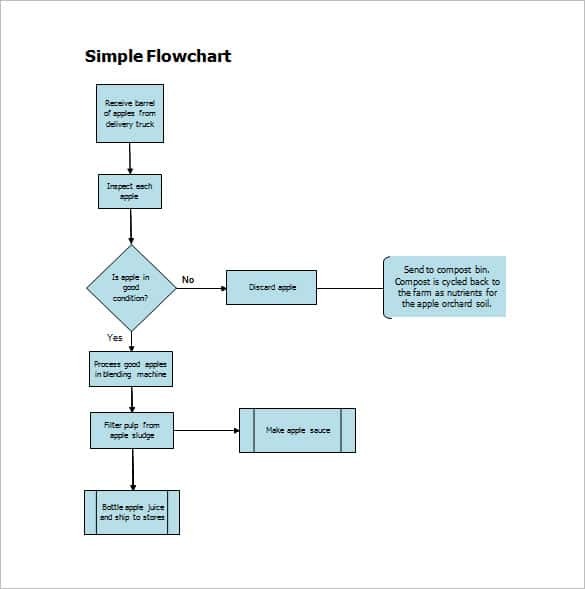 You can also get a Photoshop flow chart template to make it more eye-catching.